Need a wilI? I offer a free will consultation. Click here to learn more. Have a will? I offer a free will and power of attorney review. Click here to learn more. Wills Lawyer Les Kotzer was awarded the Queen Elizabeth II Diamond Jubilee Medal for his work in wills and protecting families. 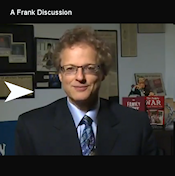 Click to watch Les Kotzer on CNN's "Dollar Signs". Click to watch Les featured as a CTV news success story. Click to watch Les on Breakfast Television. 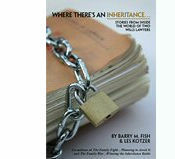 Click to listen to Les share inheritance stories on CBC radio. "Where there's a Will there's always a Les Kotzer." - Host on Breakfast Television CITY TV. Listen to his song "Beauty in a Rose", performed by Christopher Dallo and playing on radio across the country. To listen to more of Les' songs, click here. 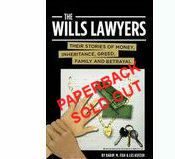 Les' book, THE WILLS LAWYERS, is now an AUDIOBOOK Click here for more info. Click on a book icon to read more about each of Les' books. 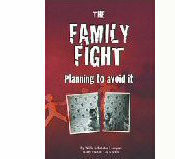 Click here to order THE WILLS LAWYERS... THEIR STORIES OF MONEY, INHERITANCE, GREED, FAMILY AND BETRAYAL DIGITAL book and get THE FAMILY FIGHT...PLANNING TO AVOID IT DIGITAL book FREE. 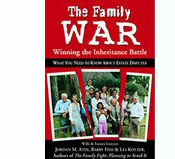 To order any of Les' books in paperback, click here. Watch Les' music video "In the 60's" on YouTube. Lyrics by Les Kotzer, music and vocals by Lewis Manne.